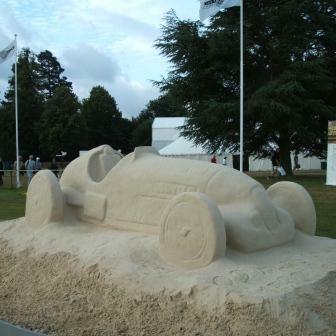 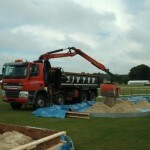 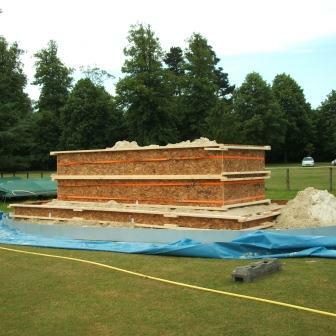 Sand sculpturist Andrew is at the forefront of professional sand sculpturing within the UK and abroad. 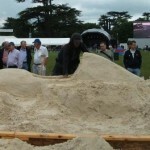 Highly acclaimed for his unique brand of live art sand installations. 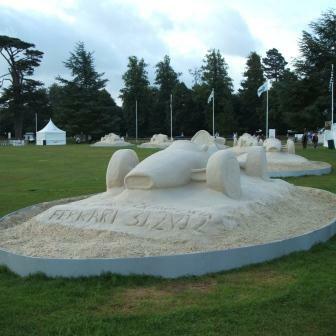 His work has been presented at major festivals including Glorious Goodwood, Festival of Speed, London Festival along with installations at art galleries and museums. Kaleidoscope Music Ltd have worked with Andrew on many projects, always ending up with a spectacular result! 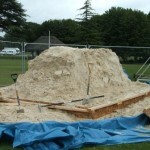 The following photos show the construction of a project requiring 10 life sized racing cars – a huge amount of sand, time and above all skill!